Forza Motorsport raised the bar and set the new standard for how a racing game should be designed and what it should deliver. It was the franchise that kept me a loyal Xbox fan. Despite the shortcomings of the Xbox One, it was Forza Motorsport that constantly maintained the air of quality and maximum value that a first party title should deliver. I was shockingly bad at it when I first played Forza Motorsport 1 and 2, and wasn’t really much better when Forza Motorsport 3 was released. By the time Forza Motorsport 4 hit the track, however, I was hooked. This was a game that delivered a level of polish that made me feel that I was playing something truly special. The music had an energy that built up the atmosphere and maintained it between races, the original Top Gear cast featured heavily and made it feel like an extension of the show, and the even-then neglected Kinect worked impressively with its head-tracking feature – something that they sadly never brought back to the franchise. Each entry guaranteed a high quality presentation throughout, an opening cinematic that was produced at a very high calibre of production value that would leave you with goosebumps, and a sound design that carried the whole package with its perfectly accompanying music score. 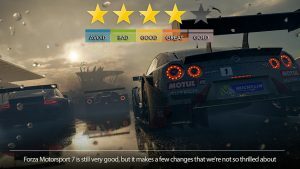 Not yet read our review of Forza Motorsport 7? 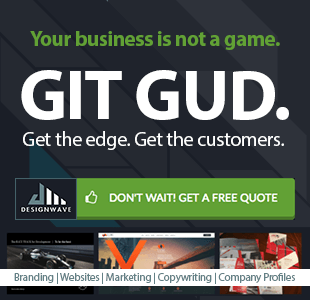 Check it out by clicking here!. 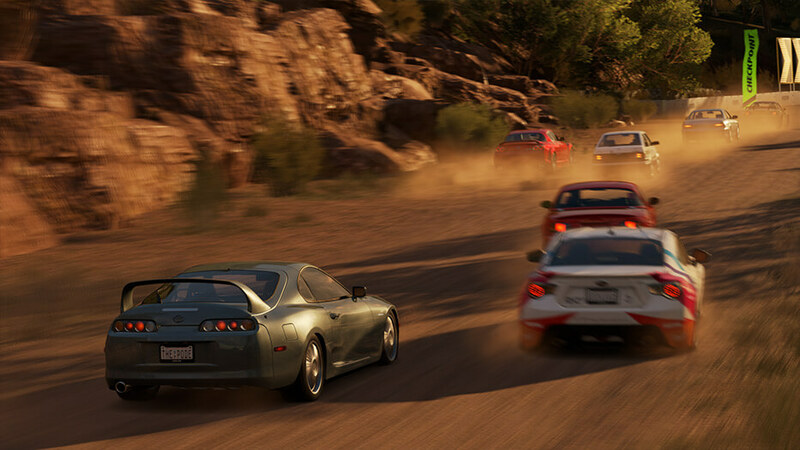 As you played the single player campaign you would be presented with a clear set of race choices that would allow you to take your selected starting car and win races to upgrade it or buy an even better car. You built up a garage of cars that you’d driven to victory, and they’d each contributed to your overall success. In 2012 Forza Horizon was released. I got the Xbox Speedwheel in a bundled edition and played that game to death, and until my arms hurt. Man, that thing was fun and exhausting. Horizon was a great spinoff. It really had its own personality in the way it felt like Forza, and yet didn’t sound or look like Forza. It was bigger, louder and had a completely new additional facet of vehicles and challenges. And with it came the inclusion of dynamic weather. The Xbox One launched with Forza Motorsport 5, a really beautiful game that felt rushed and incomplete. However following that, Forza Horizon 2 came out, and that for me was the moment I felt that the Forza series had released the perfect title. It was tough, gorgeous and a total sandbox of fun, yet at the same time there was always a sense of purpose with each festival that you raced across the area to race at and upgrade your car. From its opening cinematic that left you enthralled and ready to get into your first car, to the beautiful European countryside and great music selection, the team at Playground had delivered a solid sequel to Forza Horizon. Then we got the very best Forza Motorsport that we could imagine. Forza Motorsport 6 is the most well presented game I’ve played. It takes itself seriously and has every right to do so. Right from its fantastic opening cinematic, to its incredible score (that I often listen to when driving my actual car), to its campaign and expansions packs like the Porsche Expansion that maintain the highest levels of quality that you’d come to expect from a Forza Motorsport title. 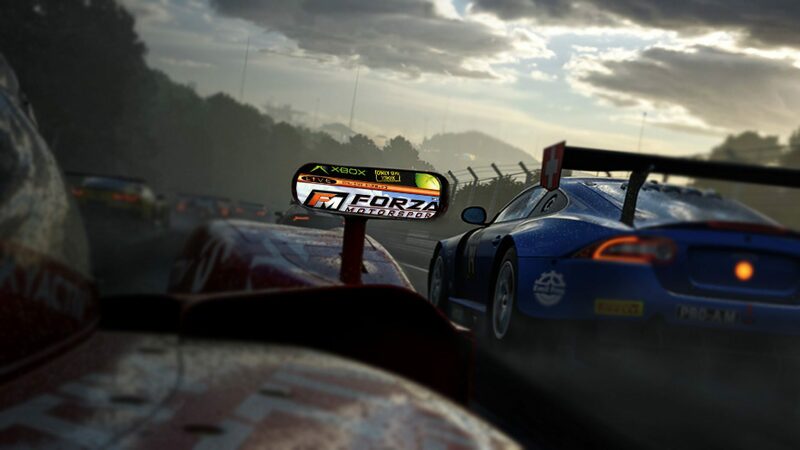 It also gave us the best-looking rain and water effects yet seen in a racing game. Then the series went off course. The following year Forza Horizon 3 was released. A beautiful sandbox racing game that is pure quantity over quality with its “more is more” philosophy. There was no opening cinematic or overall essence of an overture. It was a new direction for Forza Horizon that does make sense if they wanted to clearly diversify the franchise and separate Forza Horizon from Forza Motorsport. Forza Horizon 3 devalued the cars you drove. Every few minutes a new vehicle seemed to fall into your lap. In the end you didn’t care to work towards saving enough credits for a winning car, because you knew that the one you were driving right now will be a forgotten memory in two races time. Forza Motorsport 7 has unfortunately followed suit with that approach, and has gone a few steps further. The game opens straight into what is the remainder of the E3 trailer (that they rehashed for the Gamescom trailer, but enough of that). There is no high-production cinematic and no significant music score. What music there is sounds like someone in the garage left the radio blaring some generic forgettable drumming and electric guitar twanging. And it’s repetitive too, and starts playing everywhere, even when you rewind your race if you wipe out – and during the race itself. It ends up feeling like one music track – even though it isn’t. Then we get on to what I’m pretty sure was added to the game quite late in development: loot boxes. Not only does this completely destroy the progression methodology to Forza, it is riddled with typos and turns the game into a parody of itself. Forza’s seriousness and finesse has left the garage, which would be perfectly at home in a Horizon game, and feels very out of place in a Motorsport game. You purchase these crates with your credits which is easy enough, however that’s where some changes are apparent. 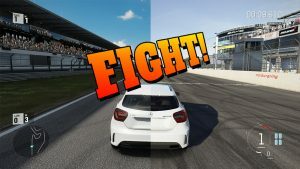 In previous Forza games disabling Assists would add a multiplier to your race winnings, this is no longer the case and instead a multiplier is only added if you increase the Drivatar difficulty higher than “Average”. This is also where some apparent last-minute changes came into the game. The Forza VIP add-on in the past allowed for double race winnings, this was changed in Forza Motorsport 7 before launch to make it a limited use ability and has now been announced that it will return to its original purpose. Watch now – VIDEO FIGHT! Forza 6 vs Forza 7 vs Project Cars 2 – Same Car, Same Track.– we compare three titles side by side! The racing itself is still excellent once you’ve turned off all the terrible music, although I am certain that the cars have a greater understeer than they did in FM6, often needing a tap of the handbrake to get around corners. Breaking on a front-wheel drive seems to disable steering altogether while the brake is applied, which feels very strange. Something I noticed was that although the game was advertised as having dynamic weather conditions that would “make every lap different” the weather pattern is set per race. So although the weather does change, it is preset per race and changes on a timescale based on the number of laps. So restarting a race allows you to know what the weather pattern will be. All in all, Forza Motorsport 7 is a very well made game, it’s just more Forza Horizon 3 Motorsport than a follow-up to the brilliant Forza Motorsport 6. I suppose we now know exactly what we’ll be getting in Forza Horizon 4: astronauts in tuxedos driving limousines. The opinions expressed do not necessarily reflect the views of Pennyworth Reviews.